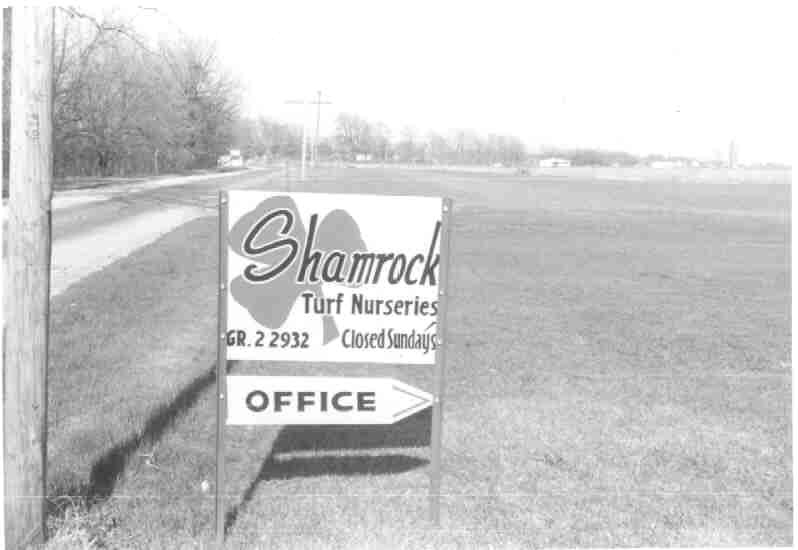 St. Patricks Day 1960.......Shamrock Turf Nurseries was formed on a small farm in Momence IL, and 5 years later a second farm was established in Hanna IN. 40 years have passed since that day. The sod industry has evolved in many ways since then, and Shamrock Turf has been there through it all. Shamrock Turf has been a major contributor to the advancement of technology through the years. Many of the techniques that Shamrock developed are now considered industry standards. Hard Work + Determination = Success......This was the equation that made Shamrock one of the most respected sod producers in the midwest. 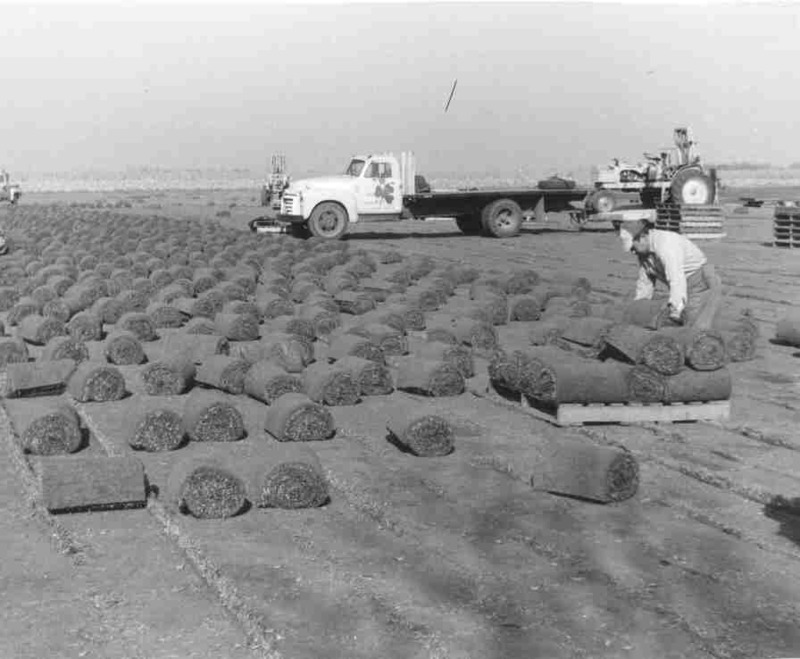 In the early years, running a sod farm required a great deal of back breaking labor. The machinery that is used today did not exist 40 years ago. 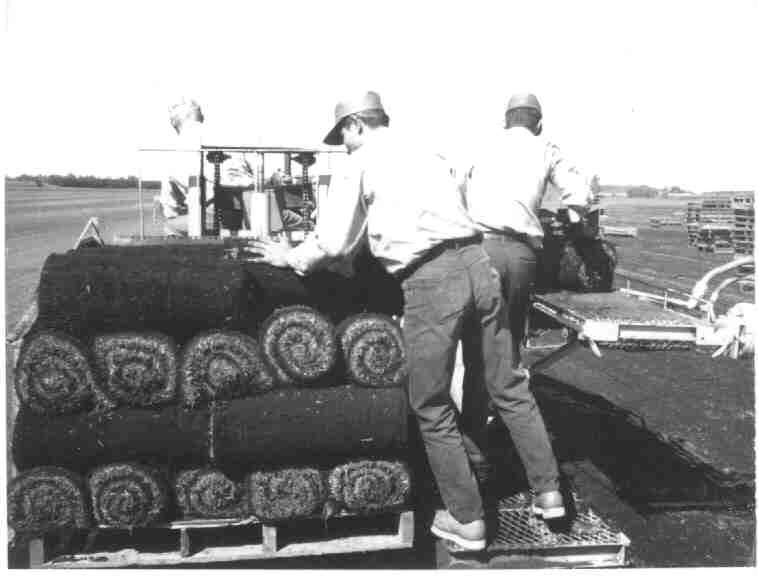 Sod was cut by hand and stacked on pallets one roll at a time. 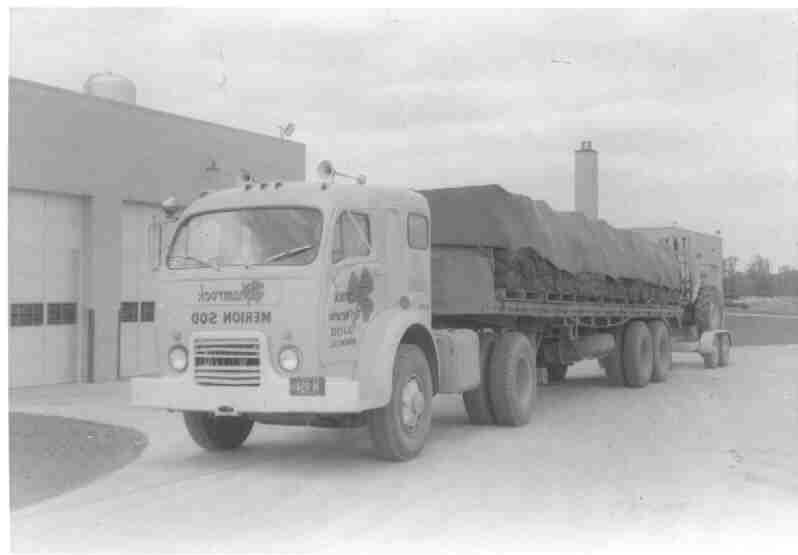 In those days, Shamrock not only cut and rolled the sod, they also installed the sod. 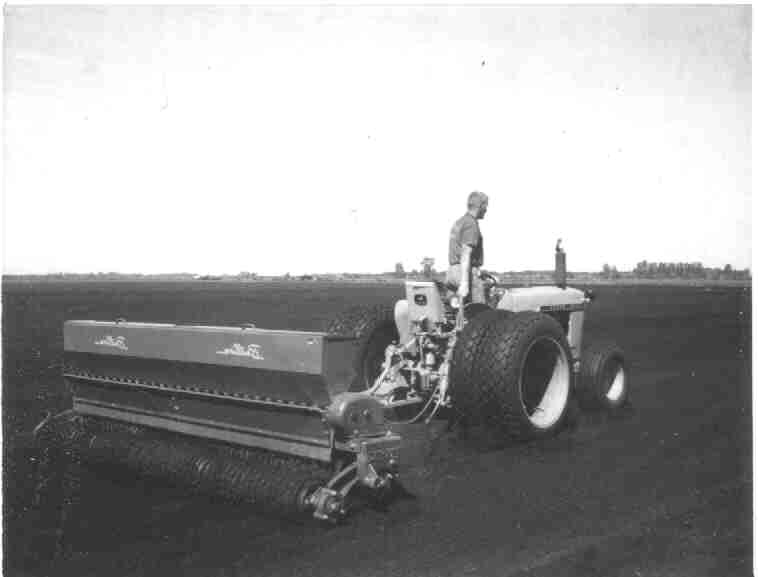 Times have changed........As time passed, mechanization advanced and the operation of a sod farm became more complex. 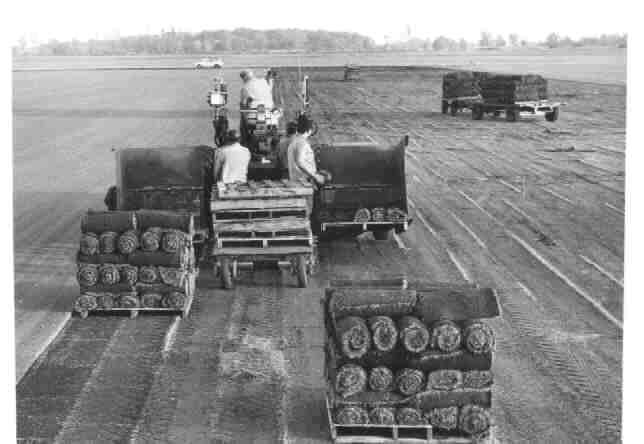 The improvements in machinery made it easier to harvest and ship the sod. The birth of the landscape industry has shifted Shamrock Turfs roll from retailer to wholesaler.